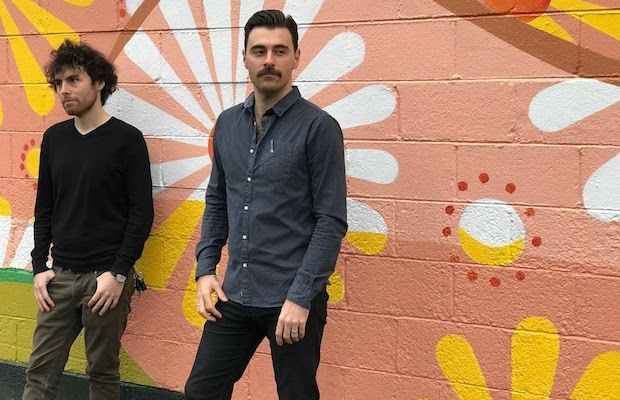 Instrumental Soul Duo Mount Worcester Bring the Vibes with Debut Single “Three Streets” | See Them Feb. 10 at The High Watt! A brand new instrumental, cinematic soul teamup of bassist/guitarist Jared Colby (who you might know as the lead guitarist for beloved local r&b/soul outfit Alanna Royale) and drummer Derek Louis (an accomplished multi-instrumentalist, singer-songwriter, and touring drummer), along with various friends and backing players contributing keys, horns, woodwinds, and percussion, Mount Worcester are an essential find for any fan of vibey, rhythm section heavy, funk and retro Afrobeat inspired, conceptual jams. Named for Boston adjacent Worcester, MA, where Colby grew up (Louis hails from the Boston area as well), the band namecheck classic Afrobeat artists like Hugh Masekela and Fela Kuti, as well as modern day bands like Antibalas and Ikebe Shakedow, in influencing their sound, which strives to tell a story without words. On their just-released debut single, “Three Streets,” Mount Worcester definitely bring the vibes, crafting a lush and timeless groove with more hook and flavor than many other instrumental acts. As Jared explains, “The writing was driven particularly by the concept of letting the drums and bass just hang out on a groove for a lot longer than what is normally accepted in conventional songwriting, and arranging all the other instruments to move with each other in layers to transform that groove into a song.” Named for an inside joke between Colby and his wife about not getting lost while driving in Worcester, the tune in an incredibly promising start for a new local band we’re excited to keep an eye on! Though they still have commitments to other projects, Mount Worcester are planning to release a debut album this year, so expect to hear further fresh tunes in the coming months! For now, you can dive into “Three Streets” below, or, even better, look for it on your streaming service of choice to help a new group get their numbers up. Finally, if you dig what you hear, you can catch Mount Worcester’s first live show ever this Sunday, Feb. 10 at The High Watt, where they’ll open for stellar Texas soul and r&b outfit The Suffers- get tickets here!